Bananas are one of America’s favorite fruits. In fact, on average, we eat more than 20 pounds of bananas per person, per year! That’s good news because bananas are nutrient-rich and are not only diet-friendly they offer other a wide variety of health benefits, from lowering your blood pressure to curbing your appetite. Here we reveal 10 facts about this fantastic fruit. A medium banana is 110 calories and provides 30 grams of carbs and 3 grams fiber. In addition to filling fiber, bananas contain resistant starch, a type of carbohydrate you can’t digest, but helps you feel fuller longer. A banana can have 2-3 grams of resistant starch (the greener it is, the more resistant starch it contains). This makes them a great mid-afternoon snack, or a perfect pre-workout snack if you eat them 1 hour before your workout. There may be a reason why most of the world’s best athletes love bananas. Olympian Yohan Blake reportedly eats 16 bananas a day! 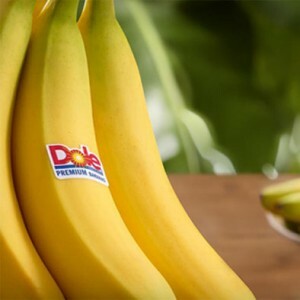 A recent study from Appalachian State University’s Human Performance Lab found that consuming half a banana every 15 minutes during a cycling time trial test was as effective as drinking a carbohydrate matched sports drink every 15 minutes. Bananas are a perfect fuel for athletes because they not only provide the carbs your muscles need they have the antioxidants that may help speed recovery. Bananas are an incredible versatile fruit that can be eaten on-the-go or used in tons delicous recipes, from smoothies to baked goods. We are tempted to say that there is not a single banana recipe we met that we didn’t like, but that would be pushing it. For a healthy dessert option try this: get a couple of ounces of dark chocolate (over 70 percent) and melt it. Slice up a banana and dip each slice in the chocolate until they are fully covered. Place them in a container lined with parchment paper, and put it in the freezer. Let them freeze and enjoy a slice as a snack or dessert. It is usually oranges and strawberries that come to mind when think about Vitamin C, but a serving of bananas provides 15 percent of the daily requirement for vitamin C. Vitamin C is an important antioxidant that helps neutralize damaging free radicals and helps keep systemic inflammation at bay. It also helps produce collagen that holds muscles, bones and other tissues together. And helps keep blood vessels healthy and is needed to optimally absorb iron and folate and keeps your gums healthy and aids in healing. 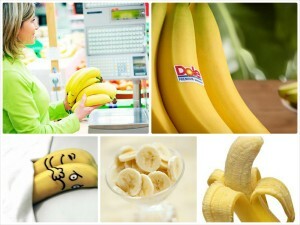 Bananas contain 20 percent of the daily requirements of vitamin B6. Vitamin B6 helps the body make nonessential amino acids to create healthy cells. It also helps produce insulin, hemoglobin and antibodies that help fight infections. Feeling a little under the weather? Bananas are great because they’re easy to digest and considered non-irritating for the stomach and upper GI tract. That’s why they’re part of the clinical BRAT diet–, bananas, rice, applesauce and dry toast–which is a diet plan registered dietitians use when patients have acute diarrhea. They are also one of the first fruits that are introduced to young children when they start eating solid foods. 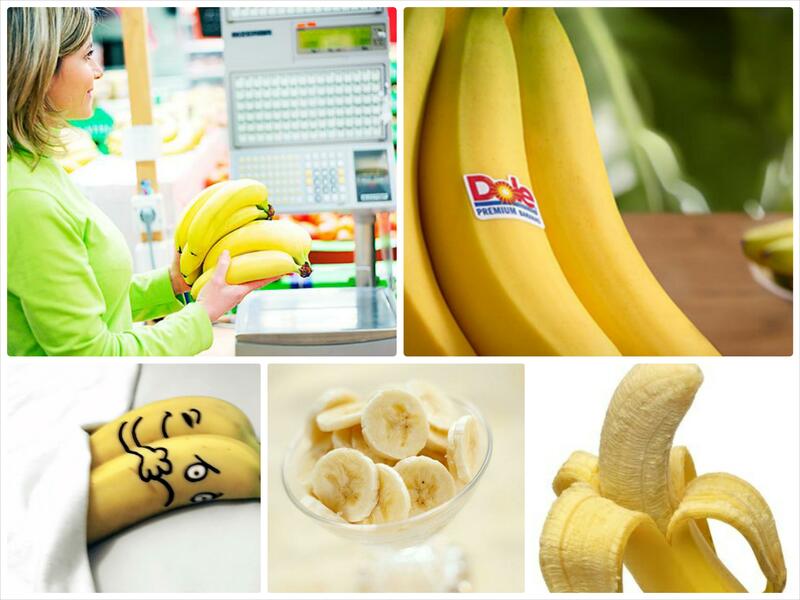 A medium banana has 422 mg potassium while being sodium-free. The high potassium:sodium ratio helps to neutralize the blood-pressure raising effects of sodium in your diet. Various studies show that those who have diets rich in potassium are less likely to have high blood pressure and have reduced risk for stroke. Adults need 4,700 milligrams of potassium a day, so a medium banana provides nearly 10 percent of the daily requirement. 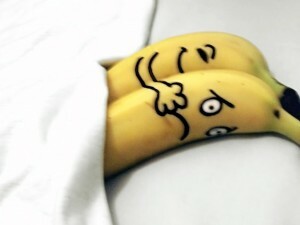 How about having a banana to help you feel peachy? A small banana provides 27 mg magnesium, which may help boost mood and reduce feeling blue. Men and women need 420 mg and 320 mg of the mineral per day, respectively. Low levels of this mineral are linked to depression, anxiety, irritability and other mood disorders. Since many of us don’t get enough magnesium in our diets, consider a banana as your chill pill. If you want your bananas to ripen faster, just put them in a paper bag with an apple, pear or tomato.